Gun care should be your first port of call during and when returning from a hunting trip, poor gun care can lead to firearm deterioration and loss of accuracy. 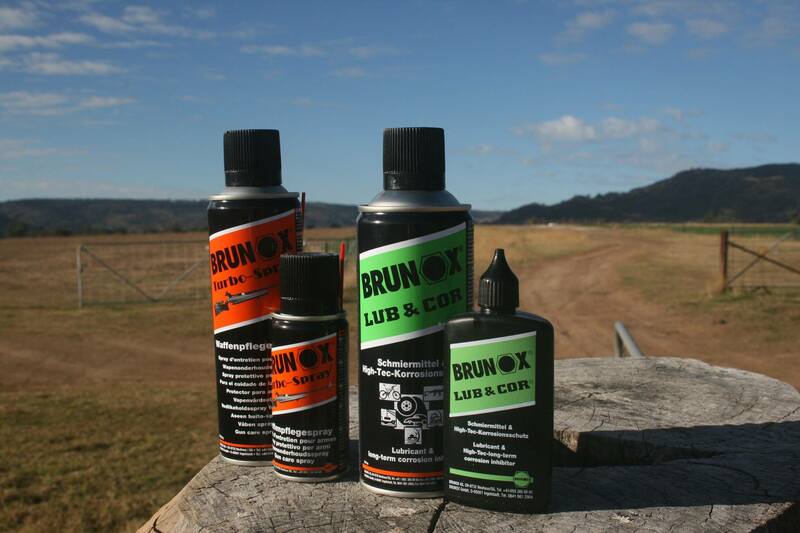 Finding a cleaning agent that is easily carried for field services when on an extended trip can be hard and this is where we found the Brunox Turbo Spray from Spika fit the bill with the added protection of rust resistance and lubrication. The best feature about this product was it comes in a lightweight 100ml (or 300ml) aerosol that is super compact and reduces the chance of a spill like traditional cleaners. 5 function spray with Turboline. The spray penetrates and removes mineral and organic dirt so that spots of all kinds can be easily wiped off preserving your delicate bluing. 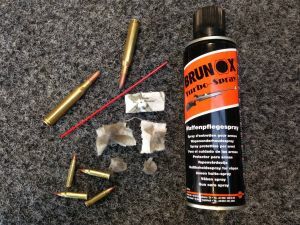 Turbo spray also loosens powder residue (also black powder), Lead, Tombac, Copper, and Nickel residues to assist with the cleaning process and has a solvent drying time of 2-4 hours. Among the advantages Turbo Spray neutralizes hand sweat and also protects aluminum, copper, brass, chromium plated and galvanized sheet metal and stainless steel products. Turbo spray is free of silicon, PTFE & graphite products. 6. Your barrel is now protected against corrosion and ready to shoot anytime! There is no need to remove before use. 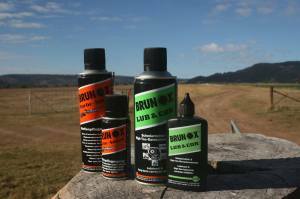 BRUNOX Gun Care used as instructed will not affect shooting accuracy and no residue! 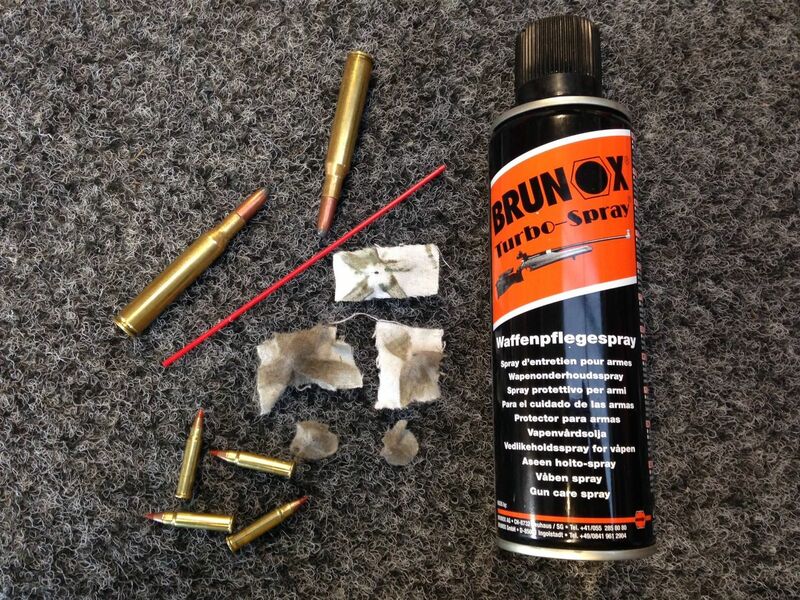 If you find that your accuracy has not improved you may need to have your rifle cleaned with a heavy copper solvent or inspected by a licenced gunsmith.